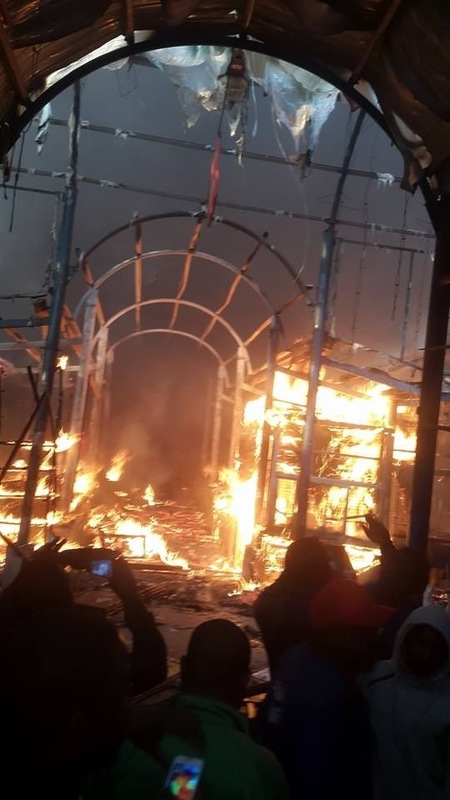 The police are in a dilemma and can not state what caused the fire that burned Lusaka city market and Misisi market simultaneously. ZWD understands that the police are still being coached by state house on what reasons to give. The problem is that Edgar Lungu is not ready to admit that the fire is related to current tension in the country. On the other hand, the police will look absurd if they are forced to say the fire was accidental especially after their boss a day ago said there will be terrorist attacks on Zambia. The police are State House are therefore currently comparing notes on what lies to feed the country. In the photo is how City Market looks like after the fire.